TROUBLE IS BREWING between Fine Gael and the Independent Alliance and it’s over alcohol. 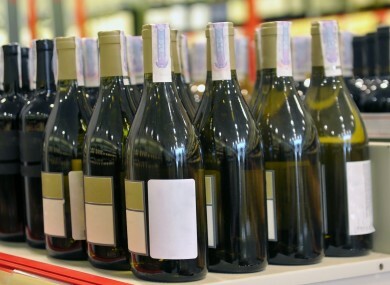 Under government plans, shops are to be told they cannot sell alcohol alongside other products. The Public Health Alcohol Bill instructs that alcohol must be separated from the other products on sale in the shop by a physical barrier, so that alcohol products and advertising are not readily visible to members of the public. While the Independent Alliance said it is supportive of the bill as a whole, it has demanded a change to this section, claiming implementing it would be too difficult. The party members held a robust meeting with Junior Minister Corcoran-Kennedy this morning to stress their total opposition to this section of the bill. Galway East TD Sean Canney and Longford and Westmeath TD Kevin Boxer Moran said they left Junior Health Minister Marcella Corcoran-Kennedy ”under no illusion as to their total opposition of the segregation element of the bill”. Plans to force small retailers and corner shop owners to segregate alcohol products was a “step too far”, said the Independent Alliance. Minister of State with responsibility for the Office of Public Works Sean Canney described the section of the bill as “a retrograde step” and said it is simply “inoperable”. “Segregation like this will add nothing to the control of drinking. Drinking is an issue in this country and education about alcohol needs to start in the school. “I am fearful of the fact that this legislation could drive drink further underground and make drink an even less sociable pastime,” he said. The Independent Alliance said that “re-generating rural Ireland” is enshrined in the programme for government it agreed with Fine Gael. “We feel that this segregation is a retrograde step, it is short-sighted and it has not been fully thought out,” Canney said. Boxer Moran described the insistence on segregation as something akin to a “nanny state”. This is being looked at from the wrong end. It needs to be looked at from the point of view of education. It is ridiculous that small retailers and corner shop owners are being expected to invest thousands of euro in their businesses just to segregate alcohol products from other products. Support from within Fine Gael? Unlike other disagreements the Independent Alliance has had with Fine Gael in the past, this time they might actually have some support from government backbenchers. Corcoran-Kennedy briefed her party colleagues on the new bill at the parliamentary party meeting last night, where concerns were raised were also raised by Fine Gael TDs about the impacts it will have on small corner shops. At a previous parliamentary party meeting last month, there was a heated discussion about the new bill, with rural TDs raising the same concerns as members of the Independent Alliance. Many stated it would be a non-runner for their constituents. Email “There's trouble between Fine Gael and the Independent Alliance again... this time it's over alcohol”. Feedback on “There's trouble between Fine Gael and the Independent Alliance again... this time it's over alcohol”.